Since 1972, 31-W Insulation has helped customers across the nation enhance the beauty, safety, and comfort of their homes, and garage door installation is one of our specialties. 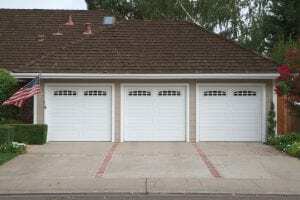 If you’re an Orlando homeowner looking for a new garage door, you’ll be pleased to know that we offer wind-load doors. These premium-quality doors are built with reinforcements that allow them to withstand severe weather conditions, like the high wind-speed storms that regularly threaten Florida. As storm experts can tell you, 80 percent of residential wind damage is the result of wind entry through garage doors. This is understandable given that the garage door is the largest opening in the home, which leads to another reason why our doors are ideal home improvement products. If safety and style were all our doors had to offer, we would end this post right here. But at 31-W Insulation, our garage doors come in three different levels of insulation to suit how you use your garage, whether as a living space, a recreation room, or a workshop. Contact 31-W Insulation today to schedule a free consultation. One of our knowledgeable representatives will gladly visit you to start the process of getting a new garage door for your Orlando home.